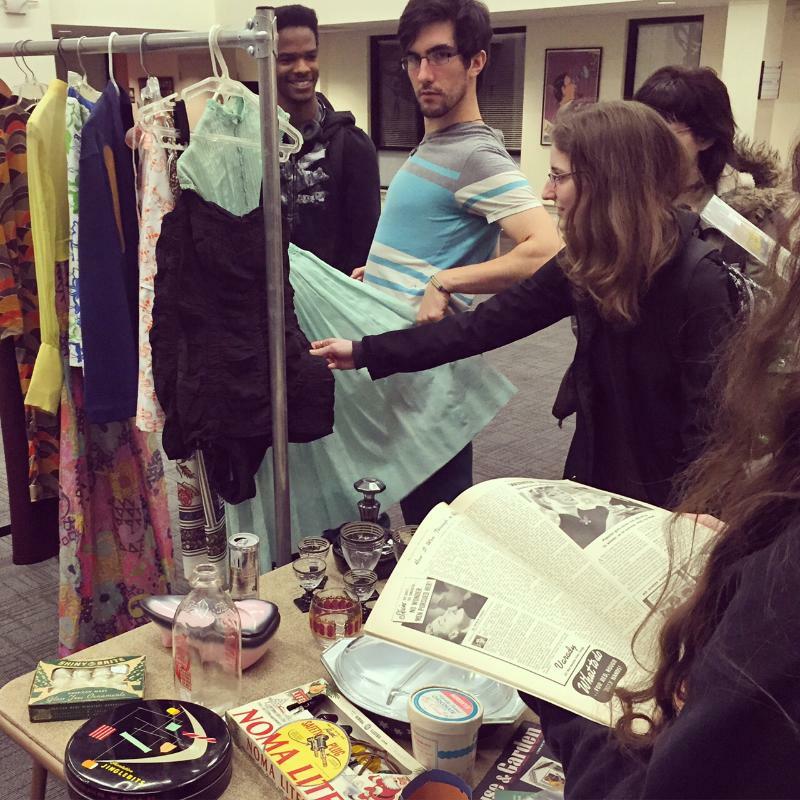 In Professor Katrina Funk's Design and Visual Culture art history class at Pennsylvania College of Art & Design, the art students have been talking about design movements from Art Deco to Mid Century Modern, focusing on housewares, clothing and collectibles from 1920-1960. 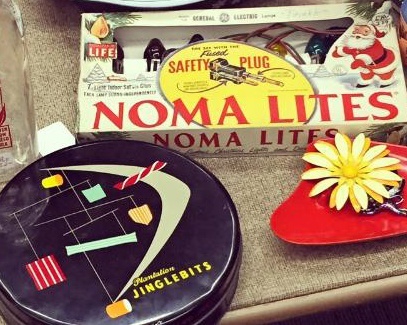 For a recent class, I brought in a selection of glasswares, clothing, shoes, pins, cookware such as pyrex, a 1950's armchair, magazines, and advertisements ranging from this time period. With the help of PCA&D Alumni Rose Nutter, who owns Black Kat Kollectibles in Bird in Hand, PA, the students were able to hold and interact with the objects rather than just see slides or book images. Students were invited to feel various fabrics, hold personal cookware, and even sit in a chair from the 50's. This was a unique experience for the students to hold a piece of design history, and get a chance to see the design and style elements from these popular eras in American culture up close and personal. 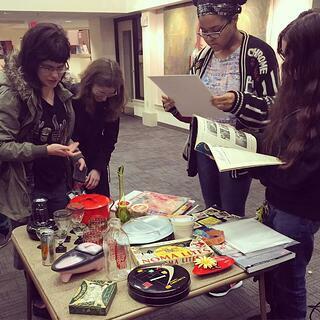 The Design and Visual Culture class is one of of the Art History classes offered by the Liberal Arts Department. At PCA&D, the Liberal Arts curriculum plays a significant role in a student’s overall experience. Students take 42 credits or 14 classes in the Liberal Arts Department. While there is a strong focus on art history and communication, students also take courses in the sciences, math, and the humanities.